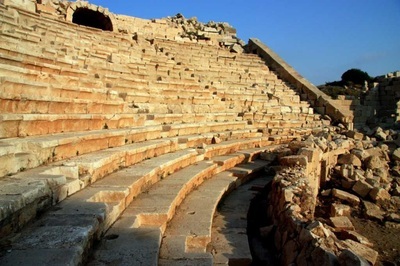 Patara is one of the ancient Lycian towns located around Kas in Antalya province and it has been the capital of Lycian Federation in the ancient history. 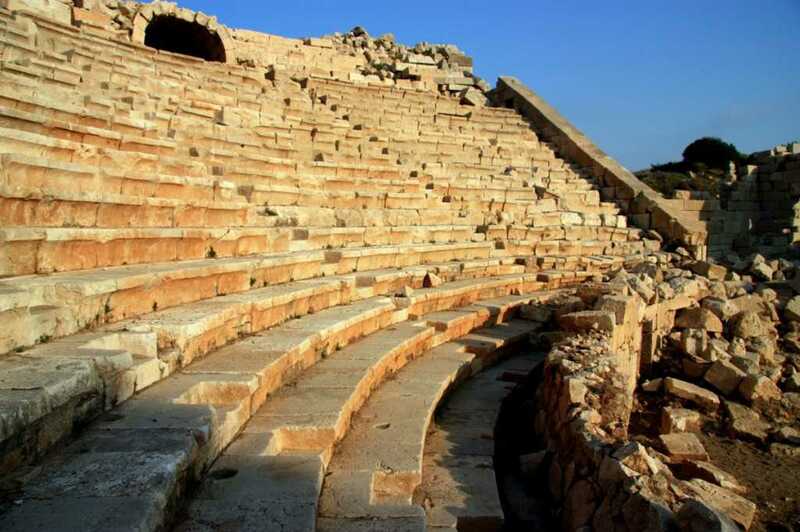 Patara was one of the most important six city-members of Lycian union and had the right vote for political affairs. 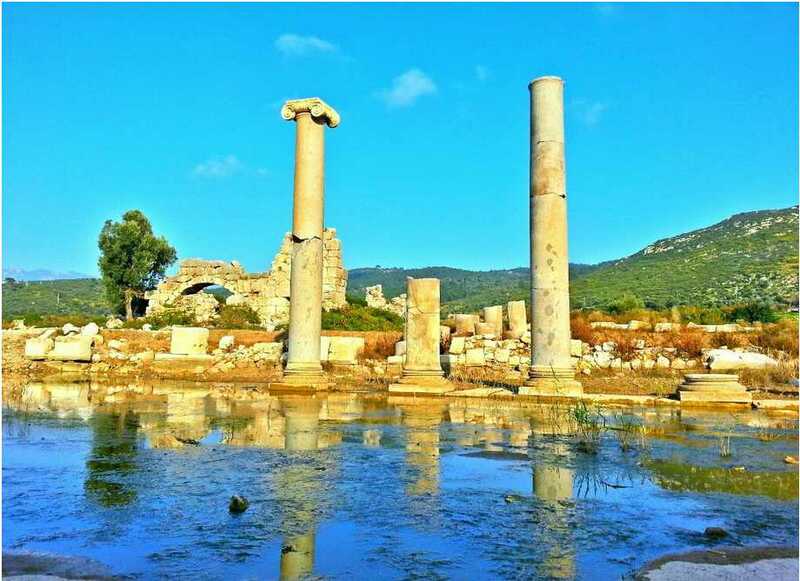 Lycian union meetings used to be held in the parliament building of Patara in which is accepted the oldest parliment house all over the world. Patara is also well-known about lovely sea turtles in the Mediterranean called as Caretta-Caretta. These sea turtles have been leaving their eggs in Patara beaches for millions of years. Patara is in the south of Turkey which is located within the village boundaries of Gelemis belongs to Kas in Antalya province to the east of Esen river in between Fethiye and Kalkan towns. 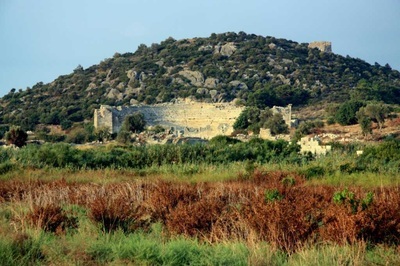 Patara, the open door of the western Lycia to the world, was founded next to an estuary of the landward side. The distance from Patara to the sea is about 2kms so the city was safe for sea trade and was hard to be occupied due to narrow sea pass. 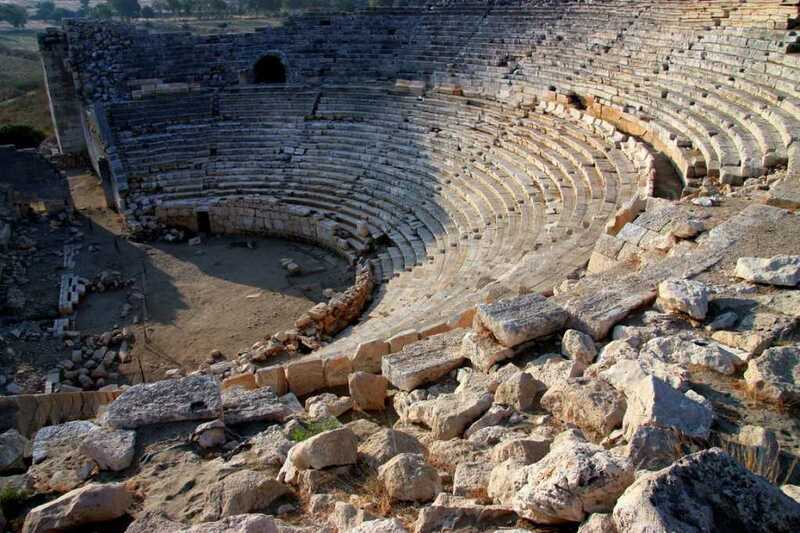 Today the ancient ruins of Patara cover an area of 10 square kms. 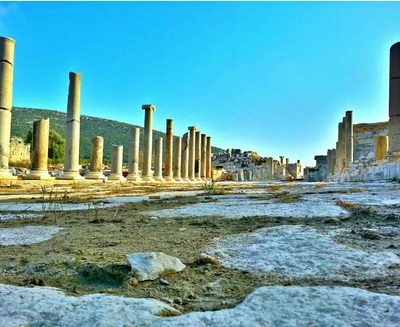 As the names Pat in Hittite and Ptar in Lycian languages, the city was founded in the 8th century BC according to the results made from the latest excavations by the Lycians whom they came from Mesopotemia.It is known that the city was surrounded by Alexander the Great in 334 BC during the Hellenistic period. Patara became the leader city of Lycian region in the 3rd century BC under the Ptolemaic rule. At the beginning of the 2nd century BC, Patara was controlled by the Seleucid kingdom and it was recognized as the capital of Lycia. Parliment, Theatre and monumental buildings were built in Hellenistic time. 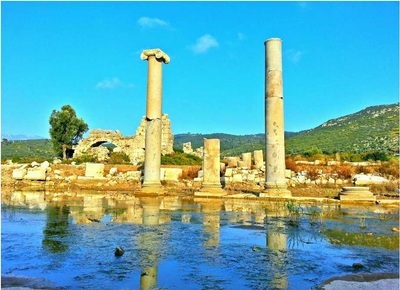 In 43 AD while Patara was the Roman city, in 74 AD Patara and Pamphylia were combined into a single state by the Roman senate and Patara became the capital of Lycia again. Patara used to be a naval base and grain store because of its port during the Roman period in three hundred years. In Byzantine times the city has also been an important center for Christians and Santa Claus who is considered as Father Christmas was born in Patara. In addition to this, St. Paul boarded the ship from Patara to go to Rome during his missionary journeys. To be filled up with sand from strong winds caused difficulty to approach the boats in medieval times so it was the end of Patara harbor in 400 meters wide and 1600 meters depth. The wind filled and hurled port city with sand and later the sand covered a large extent of Patara so even today a portion of the residue was below the sand. 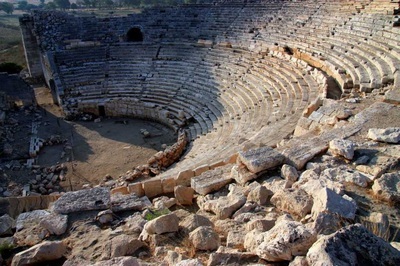 Patara has also survived as an important center for the arrival of the Turks from 14th century to the present time. 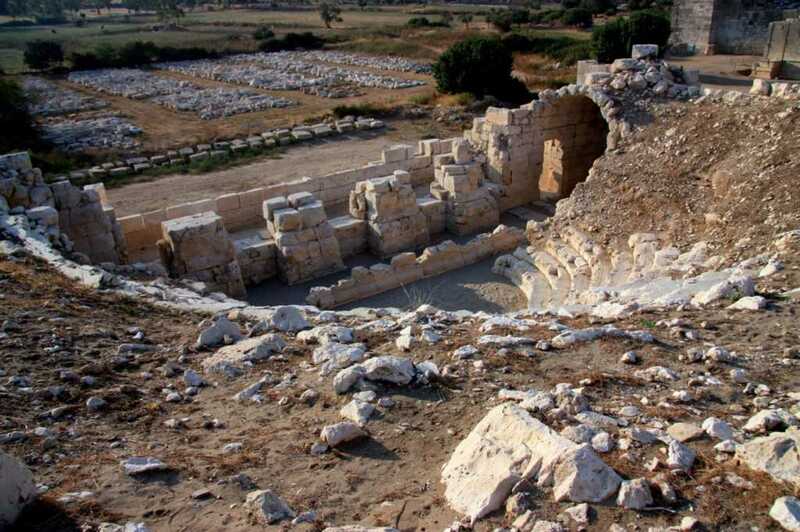 Patara has been excavating a group of archeologists from univercity of Mediterrenean since 1988 and a lot of historical buildings have been unearthed and opened for visitors so far. The main sights are ; Roman triumphal arch as the beginning of the present ruins which was built in 100 AD for the honor of Roman governor, in the western slopes of the hill where the Lycian sarcophagis cemetery are located, the theatre is leaning on the hill at the southern end of the city, Vespasian Bath, Corinthian Temple, the main street and port granaries are in better conditions and they give a lot of information for visitors about the city’s past. 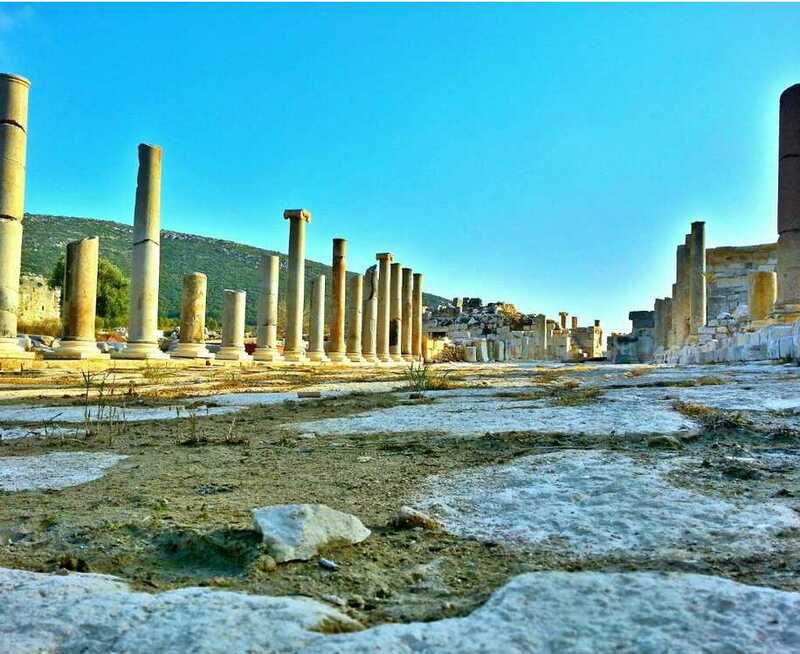 North of the theater, there is the Parliment building where meetings were held as the capital of the Lycian Union in Patara.